So your dad is finally retiring after all those years of hard work, and you really want to get him something special as he has been the best dad a son or daughter could have asked for? His retirement is a very special and a quite emotional moment for him. Any gesture coming from his own child will matter the world to him! But, after all those birthdays, father’s days, Christmases and other occasions where you gave your father a present, you have no clue where to possibly find the right retirement gift for your dad that will top them all? The best retirement gifts for dads are either linked to his future hobbies or related to future travels. More traditional but still well-appreciated retirement gifts are an engraved watch, a high-quality personalized mug or special bottle to hold his favorite drink. But don’t forget that starting a new retired life can be difficult. Therefore, besides a physical item, the best gift you can give your dad is to help him transfer into his new routine & continue to make his life meaningful. Also, spend more time with him as your presence will be valued a lot. How do I find the perfect retirement gift for my dad? Most people keep on telling themselves: “one day I will travel”. Well, once you are retired there are no more excuses like “it’s too busy at work right now” to not do it. So if your dad indeed falls under this category, you can give him that little nudge and enable him to finally see the world? If he has been talking about wanting to visit a certain place for years, why not just give him the tickets and send him on his way? He won’t have the opportunity to find any excuses, which he otherwise might still try to do even though he’s retired. PRO TIP : Collude with your mom to find the right dates and get all the information you might need for the booking (f.e. passport number). If you don’t want to spend too much time browsing airlines websites to find the best offers, use a site like Onetravel. This kind of sites give you the best deals across all airlines, and when opening the calendar you can instantly see how the prices would vary if shift the departure and return dates a couple of days. This takes away the need to run several queries. 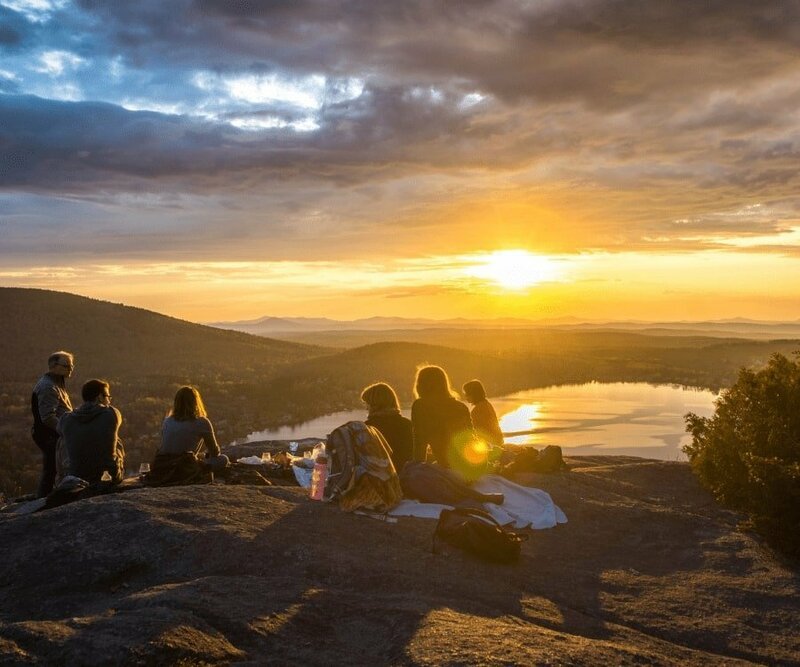 Alternatively, if you are convinced a trip is the right retirement gift for your dad, but you are unsure where exactly he wants to go, you might want to check out sites like Skyhour. This website allows you to gift air miles, which your dad can then redeem to book his flight (among 350+ airlines). 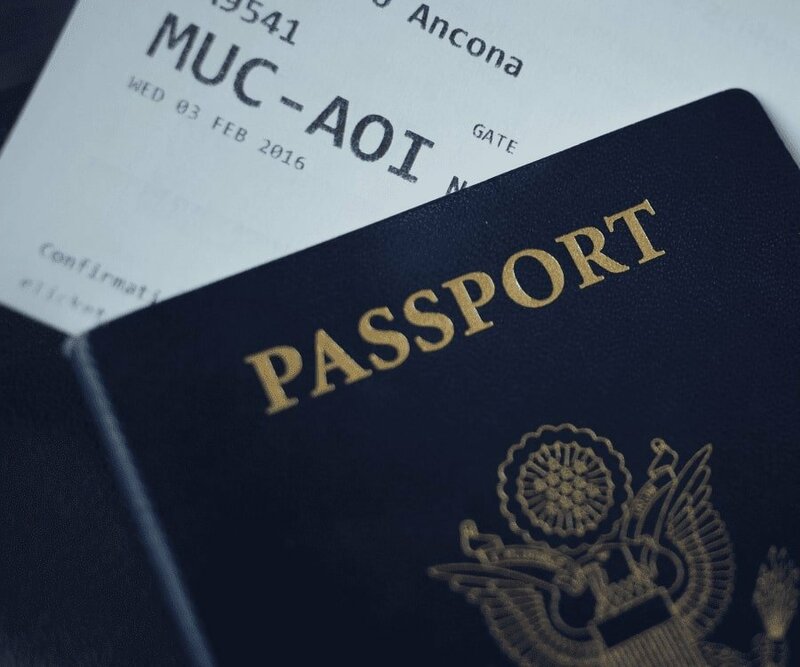 It’s perhaps a little less personal, but a safer and more flexible way to gift airline tickets. By the time your dad retires, you and your siblings will be fully grown up and leading your own lives. Although your parents are, without a doubt, very proud of you and wish you the best, they probably do miss having you around. That is why organizing a little family trip as a retirement gift for your dad could be a great idea. He will absolutely love the fact that the family is together again during this special moment in his life. Of course, you don’t have to fly the entire family to Fiji. Perhaps your parents already have a big trip booked? That doesn’t mean you cannot give a travel-related retirement gift to your dad. After doing the research, it seems that a very popular and well-appreciated retirement gift for dads is a new photo camera. Typically a hobby that requires more engagement, it is often put on the bucket list for “when they have time”. 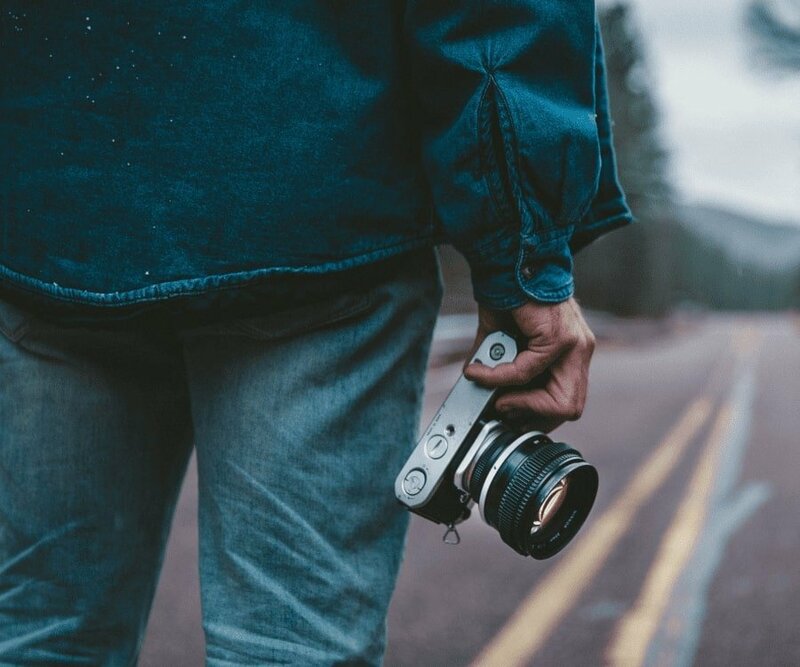 Add to this the fact that your dad will love to be able to capture his great adventures around the world, and you will see why a camera is such a fitting retirement gift. Because the world of photography is quite complex, and the camera options are pretty much endless, I want to mention the one option that seems to be a big hit with starting enthusiasts such as just retired men. It is the Nikon 5300. When it comes to photo cameras, Nikon is considered the best brand across the board. 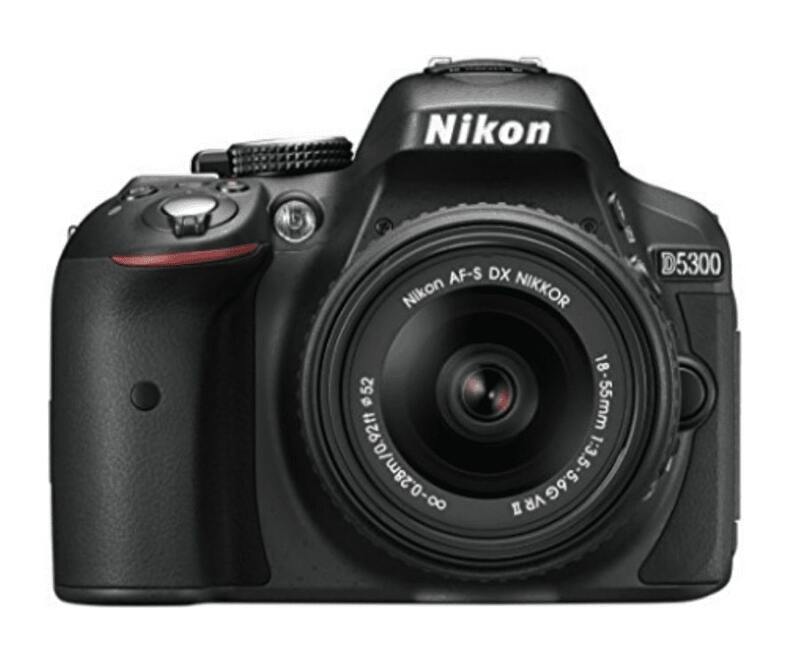 Within this, the Nikon 5300 is praised as the perfect device for any beginning photographer. Don’t believe me? Just read the overwhelmingly positive reviews! If a photo camera is not for your dad, you can find more inspiration in this post about best travel gifts for men. We already talked about photography in the previous point, but actually, the same thinking can be applied to any other future hobby you think your dad might enjoy. By giving your dad a certain retirement gift you can actually push him towards a new hobby! Well, retirement is a huge moment in the life of any man. His entire life your dad committed to his work in order to provide for his family. It was a big responsibility and an important goal for him. When retirement arrives, many men can’t help but feeling a bit lost and without a purpose, and the void ahead can look very daunting. That is why you can help him by guiding him towards new passions or hobbies that he can commit to. So far this makes sense, right? Well, this will indeed depend on many personal factors and areas of interest. We already talked about it in the previous point, but even when your parents are not planning to take any trip you can still please your dad with a camera or other related gift that might lead him towards photography as a hobby. A story I saw coming back a lot, is that after going down this route, many retired dads seem to promote themselves to the professional photographer of every family event. This giving them a sense of purpose. It’s a stereotype, but dads do love to spend time outside or tinkering around the house. Give your dad a retirement gift that helps him take care of the garden or home and he will again have found a responsibility, which he will love. Now, by the time your dad retires, he might already have a full shed of tools. But that doesn’t mean there is nothing left to give him. Now that he has all the time in the world, he can go beyond basic garden maintenance and strive to make something more out his back yard. A great example is this tool organizer by Bucket boss. It fits any standard 5-gallon bucket and thanks to it your dad will never lose any of his tools again. On top, he only needs to pick up and carry one item vs many, which is better for his back. Alternatively, you can also check out this post on great gifts for the DIY man, if you believe your father will like more a new tool. 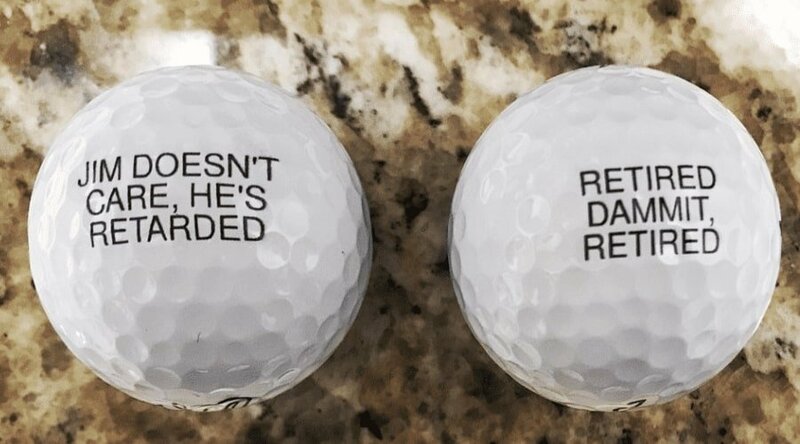 Unless your father is seriously into golf, I would not recommend getting him a golf gift, as it’s rather cliché. A nice stainless steel flask with his initials engraved. It can become his ‘birdie flask’. Give him a set and personalize it with the names of all his golf buddies. Though admittedly not for everyone, if your dad has always shown a nag for drawing, pushing him towards taking up painting could lead to a new passion. You can gift him his first painting lessons, or send him straight on his way with this very popular deluxe starter kit. It includes an easel, portable legs so he could paint on location, brushes, different kinds of paint and high-quality canvas panels. Another thing we tend to push out in front of us for when we will have the time is read all those great books from the likes of Tolstoy or Dostoyevsky. A very thoughtful gift for your dad in this area is an e-reader. You can even preinstall an entire reading list on the device to make it complete. Let’s be honest, the chances that your dad would have purchased (and tried to figure out) an e-reader by himself are close to zero. So this way you’re not only giving him an entire library at literally the touch of a finger, but you also push him to try new technologies. Which e-reader is best for a retired dad? There are many e-readers out there, but I strongly advise to go for an Amazon Kindle device. Besides the fact that these devices are pretty much the best you can get, the reality is that there is also no easier place to buy digital books than on Amazon. You can either go for the basic Kindle, which offers the basic functionalities and no frills, or you can go for the more premium Oasis edition which has a very large 7” screen & high resolution while being waterproof. Although the later is a bit more expensive, the larger screen and waterproof properties will be highly appreciated as your dad gets older. before you start laughing, you should know that this is truly a very popular hobby among many retired men. So in case you noticed your dad likes birds, and already knows several species by name, this could be an interesting route to pursue. The number one gift you can give an ornithology enthusiast is, of course, a pair of binoculars. And the clear favorite among starting “birders” is the Wingspan Optics Spectator. With a powerful 8x32 magnification, fog proof coating, no-slip grip and wide field of view, it’s called out as the perfect partner for birdwatching or any other outdoor activity. Add to this that it is not expensive at all and you get why this a winner retirement gift for dads. As I mentioned before, retiring is a very emotional moment for your dad. That is why, no matter how tough he might be on the outside, it is the perfect moment to give him a gift with more sentimental value. A great sentimental retirement gift for dads is a scrapbook. He just finished a 30+ year career, so celebrate it by making an overview of his greatest memories and achievements. Ask mom to help dig up those scruffy pictures from the ‘70s and combine them in a unique scrapbook. He will absolutely love and cherish it. Within the same spirit, you can also gift him an object that reminds him of a great achievement or milestone. An example I came across was a man whose career took a turn for the better when he was stationed in the Seattle office during the ‘80s. So his daughter gave him a Seattle street sign with the name of the street that office was located. That sign got an honorary place in that man’s study. Personally, I have a flair for the dramatic, so I would probably go for a premium vintage scrapbook like this one. The genuine leather binding gives the book even more value and almost celebrates the fact that is packed with many old & precious memories. We cannot write a post about the best retirement gifts for your dad without mentioning the classics. Although these gifts might be a little less original, it doesn’t mean they are not very well appreciated. After all, they are called classics for a reason. More traditional retirement gifts for men are watches & whiskey. The number one stereotype retirement gift for dads that comes to mind is a watch. The thinking is that after all his years of service a man deserves a proper watch. Although this is very true, and most dads will appreciate a fine watch, you can make this retirement gift more special and add a lot of value by adding a meaningful message. Engraving the watch with something in the likes of “a great manager, but the best of dads” can be the thing that makes your dad shed a tear. Which expensive watch should you buy a man as a retirement gift? Go for a rather traditional design. Although you yourself might be into smartwatches or more futuristic designs where you can see the entire interior mechanism, your dad is probably more traditional. If you want to add an engraving, choose a slightly bigger model so you have enough space on the back. Don’t go for a “bling bling” gold watch if you want him to wear it every day. A classy yet still affordable example is a Swiss Tissot. But if money is not an issue, Longines is considered a golden standard when it comes to luxury timepieces. You can also go old school and opt for a stylish pocket watch. Although perhaps less practical on an everyday basis, its unique character and distinguished history make this item a much-loved retirement gift for fathers. Now, although you will find many cheap pocket watches when browsing the internet, I would strongly advise against buying any of them. The entire point is to give your dad a gift that he can cherish, so you don’t want it breaking any time soon. If you want to give him a premium pocket watch that lasts, go for a proper brand. First up is Tissot. It is a luxury Swiss watch brand that is known for its high-quality pocket watches. My personal favorite is definitely the Lepine Pocket Watch. It has that distinguished 19th-century look and feel, and you instantly notice the craftsmanship and quality. 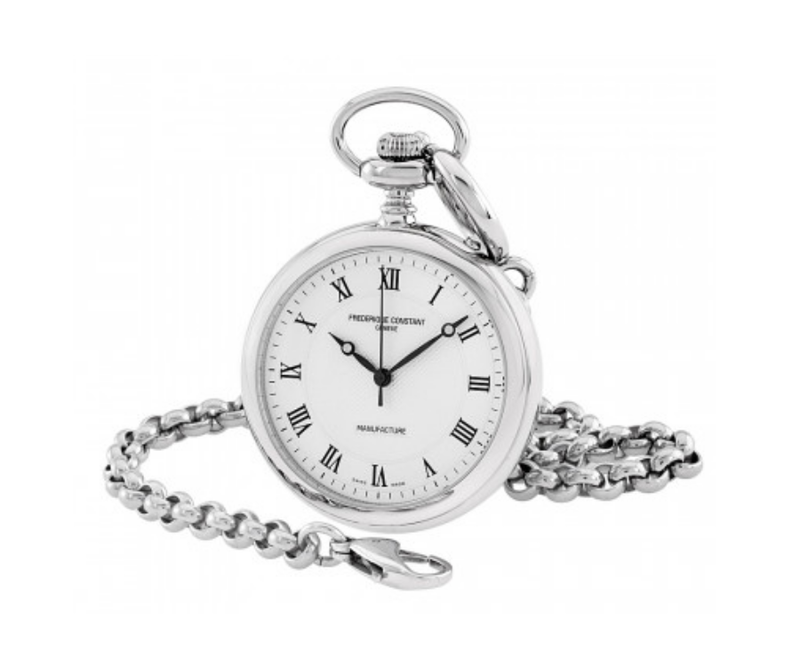 A slightly different, yet also truly exceptional pocket watch is the Silver Slimline by Frederique Constant. You can open the back, which not only allows a stunning view on the internal mechanics but also adds even more space for any personalized engravings. Another “classic retirement gift” is a fine bottle of whiskey. Finding the perfect bottle for a whiskey-loving man can be very difficult as you have to know more or less which ones he enjoys. Moreover, you also have to check your budget, as buying a special bottle for this special occasion can be expensive. Almost every whiskey fan will tell you, you can’t go wrong by gifting a nice Macallan. This brand is known to be one of the best Whiskeys in the world and well received by just about anyone. Obviously, if your father is not a fan of Whiskey, it will always be better to give him a special bottle of his favorite drink. If you are looking for a very unique alcoholic gift idea? If your budget is between $30 and $100, you can create your own fancy personalized whiskey, vodka, rum or champagne bottle! 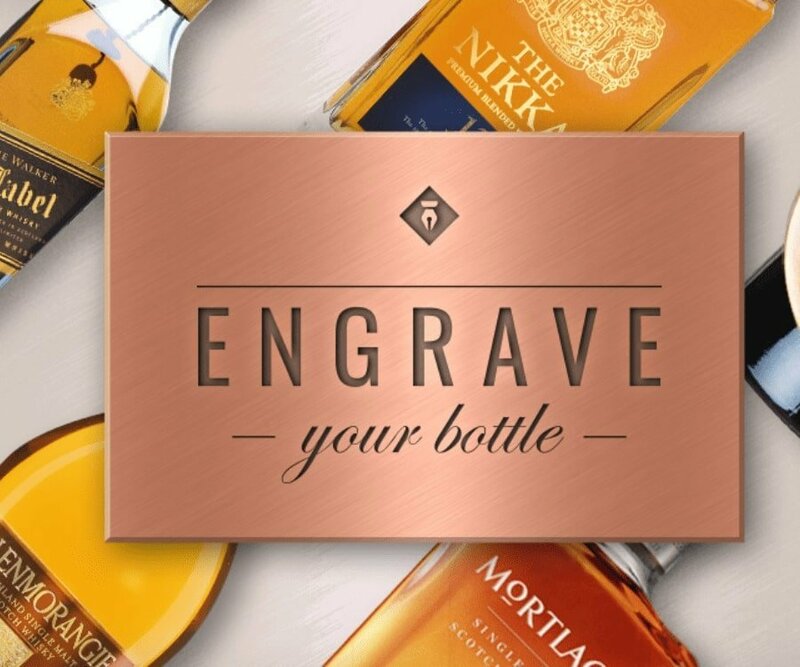 Just select the bottle, choose your font and write your message with this bottle-engraving service. Perhaps the Macallan itself is a bit too much for your wallet, or your dad actually prefers another drink. 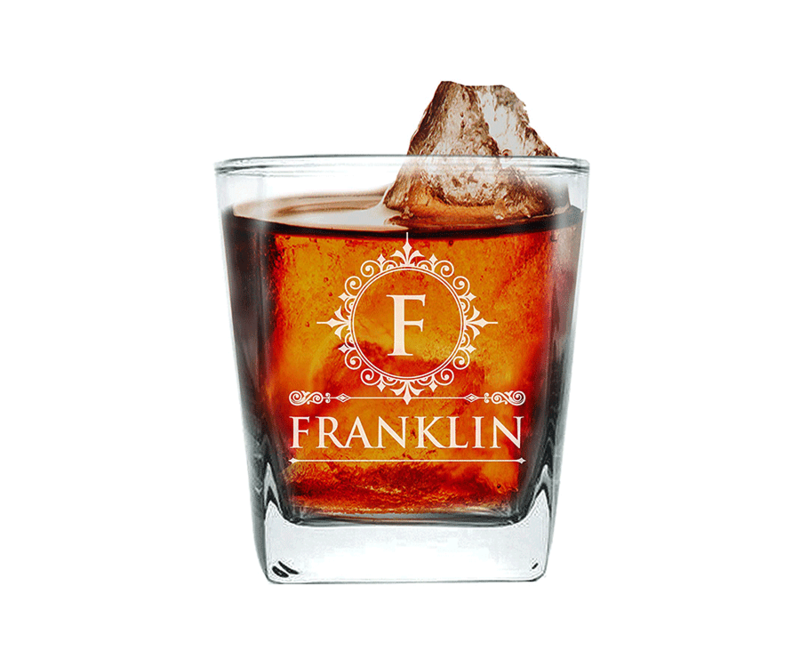 In either case, you might please him with a set of engraved glasses. A retirement party would not be complete without also a healthy dose of humor and laughter. That is why a couple of funny gifts are also very welcome. Just make sure your dad doesn’t walk away with only gag gifts after the event. Check with your mom and siblings upfront and coordinate who gives what. Although it’s perhaps not the most obvious angle for a retirement gift, you should stop to think that in just a few years’ time your dad will be hitting 70. Whether he likes it or not, good health will very fast become his key priority and worry. So giving him something that will help him keep his health is actually a great idea. 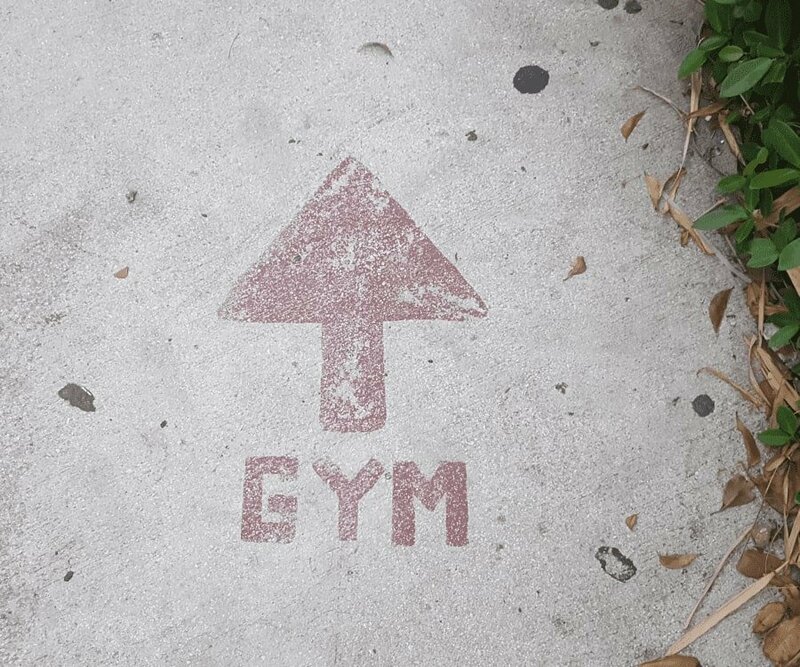 It is never too late to start going to the gym. Not only will it help your dad avoid high cholesterol and clogged veins, but it will also improve his general fitness level, enabling him to enjoy his retirement to the fullest! PROTIP : considering his age, some caution is advised. You don’t want him to hurt his back or joints trying to lift too heavy weights. That is why it’s a good idea to ask a personal trainer or another certified person in the gym to create a tailored program for your dad’s fitness level and body. If you’re looking for a great gym for your dad, I would recommend 24hour fitness. It’s a renowned nationwide chain (largest in the world), and it offers the big advantage that it’s open 24/7. Remember that retired people tend to be up very early in the morning, so this way your dad can have an early morning if he wants. Alternatively, you could always go to the local gym and see if they could provide you with a great membership plan & some tailored programs for seniors. if your dad doesn’t like the gym or if he prefers outdoor sports, then perhaps you can gift him some sports equipment itself. Go for new running or tennis shoes, new swimming goggles or even a yoga mat. If budget is not a constraint, you can even go for a full-fledged home training device as a retirement gift. Research suggests that seniors are best off with a rowing machine or a dual action exercise bike. Both are great for increasing endurance, while not putting too much strain on the body. When choosing a rowing machine, make sure you not only go for quality (so your dad gets a proper exercise without risk of hurting himself) but also think about mom and the fact that this device needs a place in her home. Although the Concept 2 is currently the most popular rowing machine, if you’re willing to spend a bit more, the look and feel of the handcrafted Water Rower is just way more premium. 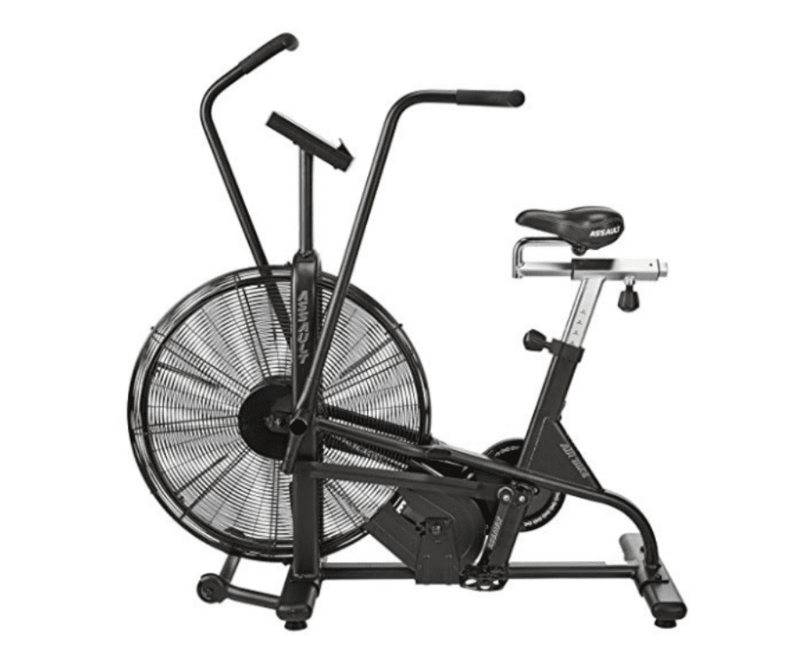 Dual action exercise bikes offer a better workout vs a traditional exercise bike as you will simultaneously have to peddle and move your upper body. If you’re looking for quality, the Assault Fitness is probably the best option currently available. It is true that after years of dedicating his life to his profession and career, it will be difficult for your dad to start a new life as a retired man. Don’t underestimate this part as research shows that most retired men fear not knowing what to do, and as a consequence not feeling useful anymore. It is even called out as a possible route to depression. So in order to avoid all of this, you will want to help your dad transfer all his newly-won free time into something useful. You can do this using one of the tips above such as steering him towards a new hobby or getting him to devote more time to physical exercise. However, perhaps even the very best retirement gift you can ever give your dad is to just spend more time with him. Even if you live in another state and can’t drop by once every 2 to 3 weeks, just give him a call to hear how he his doing. Especially in the first weeks after his retirement, you will want to be there for him on a regular basis. You mean the world to him, so you being at his side during this big change in his life is probably the most helpful and valued gift you can ever give him. Your father is one of the most important persons in your life. Have a look at this 1-minute video to understand why tip #7 is so important! So there you have it! I hope you found these 7 tips useful, and you are now fully set to find the best possible retirement gift for your dad. And who knows, it might even make your old man shed a tear. However, if you’re still not completely convinced what exactly to get him, you might find even more inspiration in this top 30 retirement gifts for men.